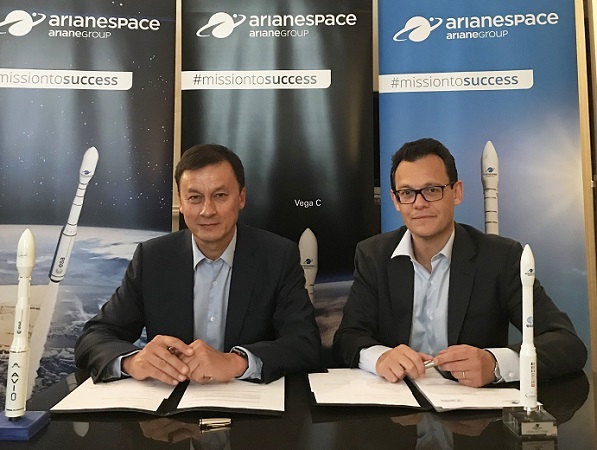 Arianespace has been selected to launch Thailand’s THEOS-2, the country’s new earth observation satellite, which will be built by Airbus. THEOS-2 will be launched in 2021, using either Arianespace’s existing Vega small launcher or its successor Vega-C, whose maiden flight is scheduled for 2019. THEOS-2 will be a very-high-resolution Earth observation optical satellite delivering 0.5-meter ground resolution imagery, and will be based on Airbus’ AstroBus-S platform. The satellite, which will have a liftoff mass of about 450kg, will be designed for a nominal service life of at least 10 years once injected into a Sun-Synchronous Orbit at approximately 620 km. Still in its early stages, plans to build THEOS-2 were solidified in June this year, when the Thai government selected Airbus to manufacture the satellite with a total budget of approximately US$238 million for the entire project.